If there are two things that I adore it’s a Rice Krispie treat and a slice of good cheesecake. There’s just something about the treats that send me back to my childhood and cheesecake? Well I think most women would agree with that one (or at least most of the ones that I know would). 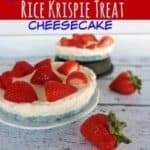 That’s why when I saw this recipe for these Red White & Blue Rice Krispie Treat Cheesecakes; I just KNEW that I had to try them! I mean why not combine 2 of my favorite desserts into one? Even better? They’re red, white and blue making them the perfect 4th of July treat! If you’re looking for a great kids craft to go along side of these, they would be a great addition to a day spent making our Easy Kids Button Flag Craft! The cheesecake portion of these can be topped with anything that you want. I love strawberries so that’s what we used, but cherries, blueberries or even a dollop of peanut butter would taste just as amazing! 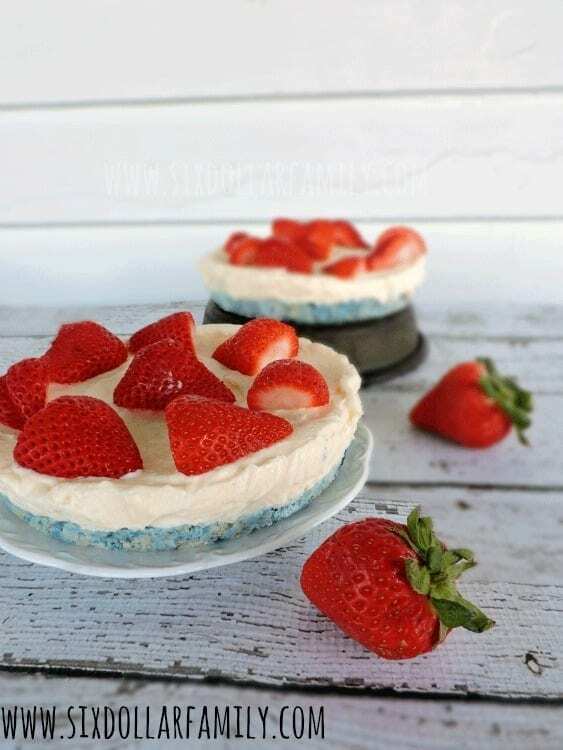 Of course if you’re making these as a 4th of July dessert or a Memorial Day dessert, you’ll want to stick with a red colored fruit to complete the red, white and blue color theme. We like to make these as mini-cheesecakes using THESE individual spring form pans but they could also be done as a larger one if you needed. 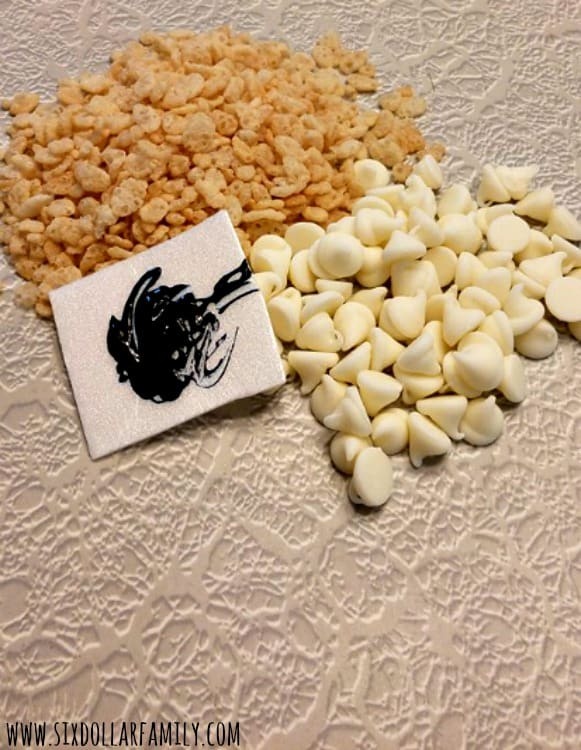 To start, melt the white chocolate chips in the microwave. To be sure that they don’t burn, use 30 second increments and stir after each one. If you would rather not use a microwave, you can also melt them in a double broiler if you have one or fill a medium saucepan with a bit of water and add the chips to a small saucepan or a broiler insert like THIS one. Set the smaller pan inside the larger and watch and stir it often until they are melted. 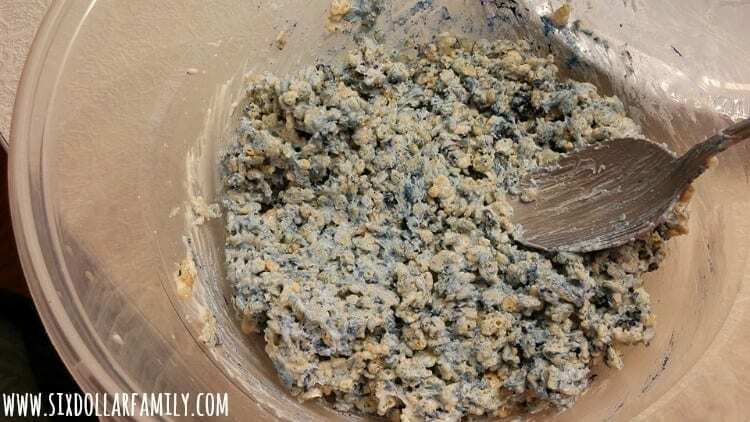 Once the chips are melted, mix in the Rice Krispies and blue food coloring and stir until they’re well combined. Press into a greased mini-spring form pan and chill for 15 minutes to set the “crust. At this point, your red white and blue mini cheesecakes won’t look very appetizing. Give it time because they’re amazing once they are finished! While the crust is setting, combine the powdered sugar and cream cheese in a medium mixing bowl and mix until smooth. Fold in the Cool-Whip and mix until smooth. 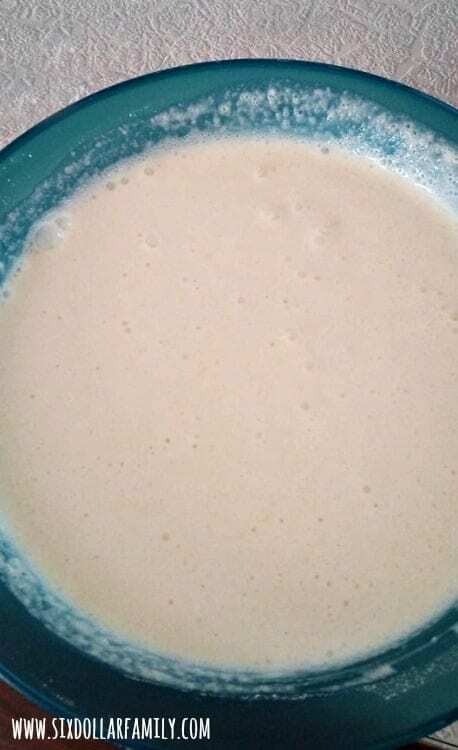 Once the cheesecake mix is well mixed, pour over the crust and refrigerate. Chill until you’re ready to serve. Just before you do though, remove from the spring form pan and top with strawberries or cherries! Whip these bad boys out at your summer BBQ and soak up the “WOW!” once people taste them! 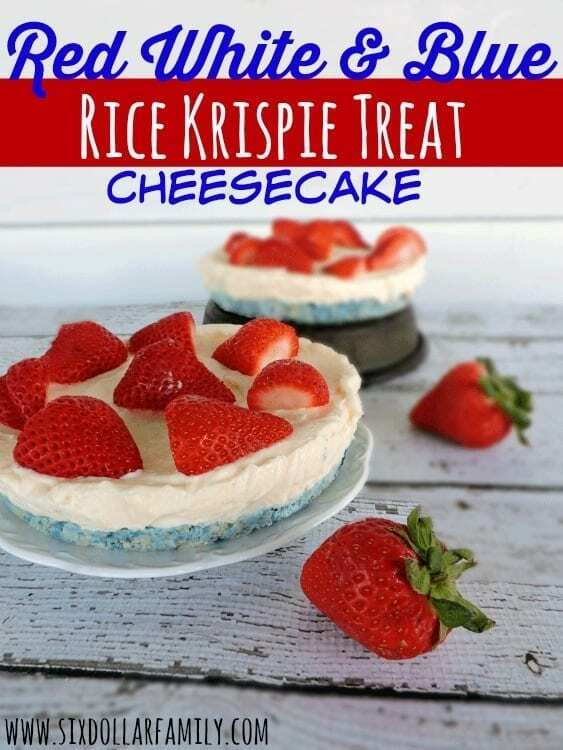 Quick, easy and delicious, these Red White & Blue Rice Krispie Treat Cheesecakes are the perfect patriotic dessert! You'll wow at the BBQ with this one! 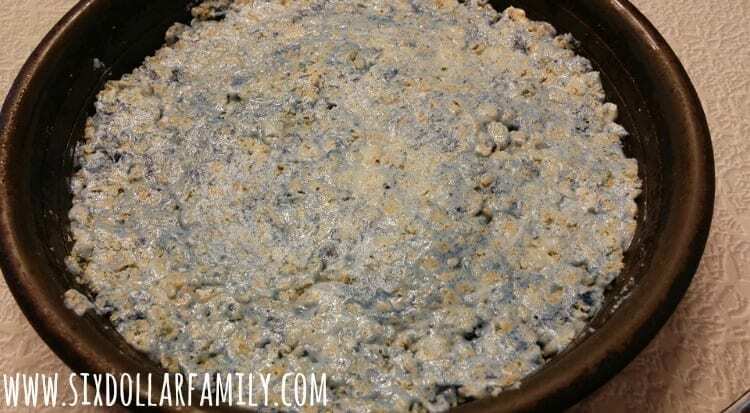 Combine chocolate, cereal and food coloring until well mixed. Press into greased springform pan and chill. Combine cream cheese and powdered sugar. Fold in Cool-Whip and mix well. Pour over "crust" and chill until ready to serve. Before serving, top with cut up strawberries.